Jennifer sent us this stunning application of her new Keep on Believing Wall Quotes™ Decal. I LOVE the White on the teal walls - its one of my favorite color combinations! And it looks great in her daughter's room. 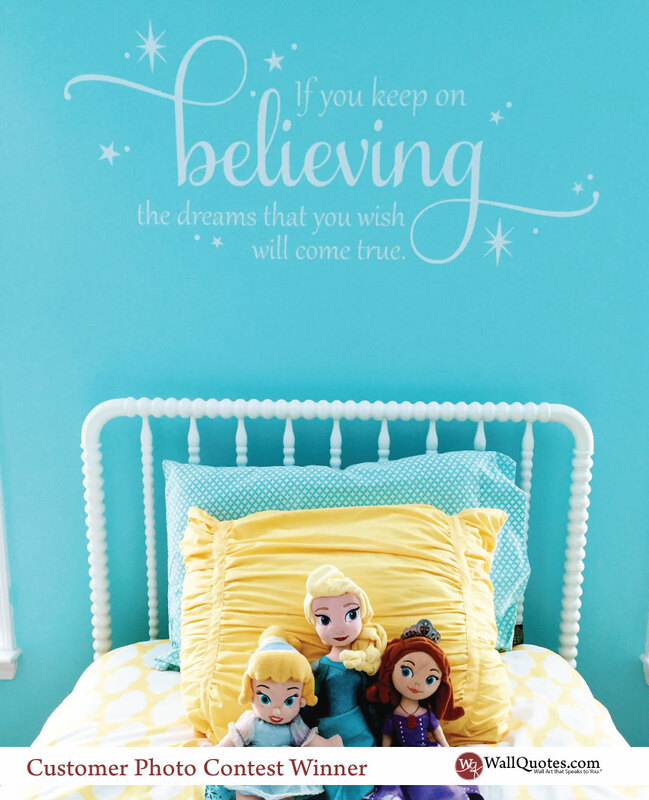 Jennifer says: "We just hung the decal we ordered for my daughters room and we LOVE it! So here is a pic of it in her room. Again love it, and it was super easy to put up thanks to your video tutorial!"